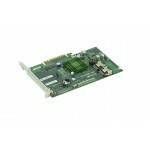 Supermicro AOC-USAS-L4IR Low Profile 3Gb/s, 8-Internal Port SAS/SATA HBA. The Supermicro UIO MegaRAID AOC-USAS-L8i feature 8 internal SAS connectors for high-performance storage connectivity. Using a Broadcom 1068E I/O processor with Fusion-MPT (Message Passing Technology) for optimum RAID performance and a PCI Express host interface for increased bandwidth, these UIO internal RAID adapters deliver an intelligent and robust RAID solution. Supermicro AOC-USAS-L4IR Low Profile 6Gb/s, 8-Port SAS/SATA, 4-Internal, 4-External RAID Adapter. Supermicro AOC-USAS2-L8IR Low Profile 6Gb/s, 8-Port Internal SAS/SATA, RAID Adapter. Supermicro AOC-USAS2LP-H8IR Low Profile 6Gb/s, 8-Port Internal SAS/SATA, RAID Adapter. Supermicro AOC-SAS2LP-H4IR Low Profile 6Gb/s, 8-Port SAS/SATA, 4-Internal, 4-External RAID Adapter. 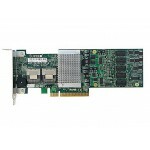 Supermicro AOC-SAS2LP-H8IR Low Profile 6Gb/s, 8- Internal Port SAS/SATA RAID Adapter. Supermicro AOC-S2308L-L8e Low Profile 6Gb/s, 8- Internal Port SAS/SATA HBA. Supermicro AOC-S2208L-H8iR Low Profile 6Gb/s, 8- Internal Port SAS/SATA RAID Adapter. Supermicro AOC-S3008L-L8i Low Profile 12Gb/s, 8- Internal Port SAS/SATA RAID Adapter. The Supermicro MegaRAID AOC-S3008L-L8i feature 8 internal SAS connectors for high-performance storage connectivity. Use a Broadcom 3008 I/O processor with Fusion-MPT (Message Passing Technology) for optimum RAID performance and a PCI Express host interface for increased bandwidth, this RAID adapters delivers an intelligent and robust RAID solution. The AOC-S3008L-L8i supports 63 devices. The Supermicro HBA AOC-S3008L-L8e feature 8 internal SAS connectors for high-performance storage connectivity. Use a Broadcom 3008 I/O processor with Fusion-MPT (Message Passing Technology) for optimum performance and a PCI Express host interface for increased bandwidth. The AOCS3008L-L8e supports 122 devices as a HBA in IT mode.